This design-build project included widening U.S. 19/U.S. 98 (SR 55) from two lanes to four lanes spanning from West Cornflower Drive to West Foss Grove Path. It also included the building of two new twin bridges over the Cross Florida Barge Canal and Greenways Trail in Citrus County. The project resulted in a safer four-lane divided highway. The bridges are haunched, post-tensioned, spliced precast modified bulb tee superstructures with span lengths of 225’, 285’, and 225’ with widths of 49’. FINLEY provided the superstructure peer review for new twin parallel bridges. 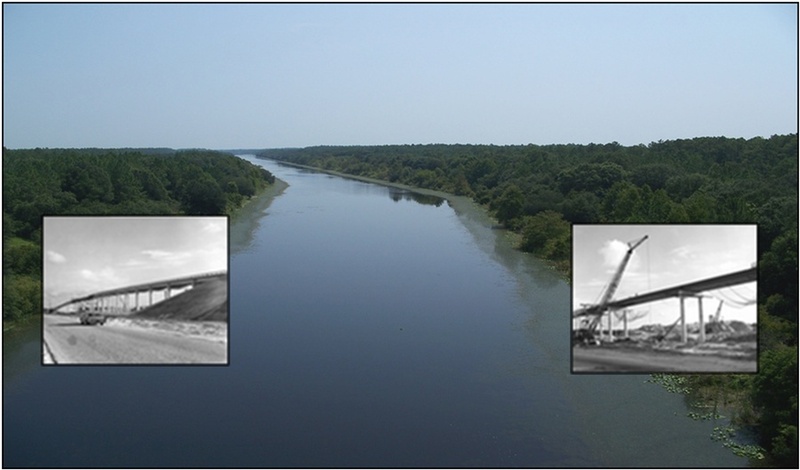 FINLEY utilized the RM2006 software to perform the phased, time-dependent analysis of the superstructures for these complex precast T-girder bridges.